The premium theme market has really exploded in the past few years. 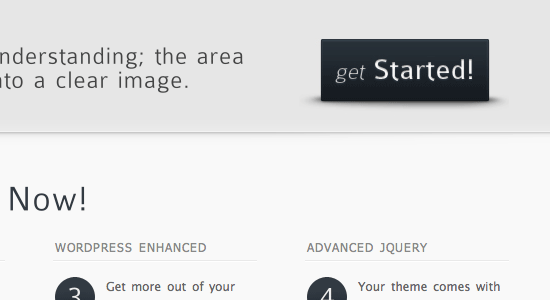 There are now many of premium themes sites (i.e. 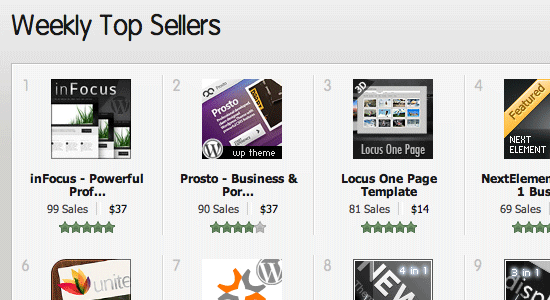 WooThemes) for WordPress alone, and that’s not even counting the hundreds of authors who publish themes on marketplaces like Themeforest or Mojo Themes. With so many options out there, it can be hard for buyers to know which theme to buy, so here are a few key elements to pay attention to when shopping around. 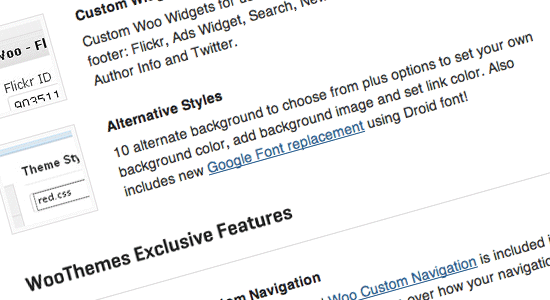 Although this article applies mainly to WordPress themes, most of the advice here can be applied to any theme out there. Whether you’re a designer looking to put up a blog or portfolio, a developer looking for a quick way to get a client’s WordPress site up, or a WordPress theme developer wanting to know how to make your theme more attractive to theme buyers, this guide should help you see what makes a premium WordPress theme great. Whether you’re shopping for a car, a computer, or a WordPress theme, popularity plays a huge role in your decision, often subconsciously. Psychologists call it social proof, and it’s a simple principle that states that when we’re not sure how to act, we take our cues from our peers’ behavior. Sites like ThemeForest publish weekly popularity rankings, and you can usually assume that if a theme is popular, it’s because of its high quality. But other sites don’t publish rankings or sales number, so you’ll need other criteria as well. The second most obvious criteria on which to judge a theme is its appearance. After all, that’s what the word "theme" originally described: alternate graphics that let you style an interface the way you want. It’s only later that themes began to include advanced customization options. Although everybody has their own taste, you can look for a few common elements. Many themes look good at first sight, but poor color combinations can make it hard to read your content. This is especially important for a blog or any other site with large quantities of text. This is an area that a lot of theme authors still overlook. Watch out for insufficient leading (or line height) and tiny font sizes. Does the Homepage Have a Clear Focus? Most themes these days use a homepage slider to put a few key elements forward, and although it’s starting to get a bit overused, it’s a good way to ensure that your featured items stand out. Will the Design Match Your Branding? If you already have a logo and company color scheme, make sure that the theme’s colors don’t clash with it or make sure that the theme is easily customizable to fit your brand. 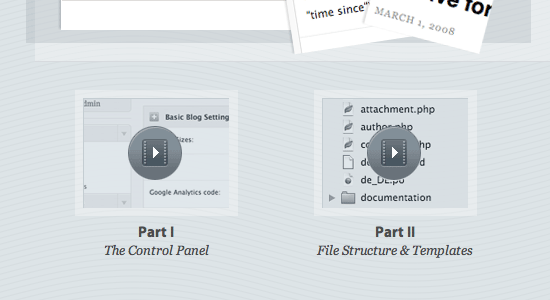 A lot of the latest WordPress themes include extensive back-end options panel. Some of them even use customized user interfaces to the point that it doesn’t even feel like you’re in WordPress anymore. You should be careful not to assume that more features will automatically make a theme better. And after all, more features will also mean more time spent reading the documentation and configuring the theme. Now that you’ve been warned, here’s a few useful theme features to look for. Being able to switch between multiple color schemes is a great way to make sure the theme will match your branding and message. WordPress shortcodes are codes that you can include in your posts. They get automatically replaced when the post is displayed, which makes it very easy to include buttons, drop caps, and other elements. With unlimited sidebars, any page you create can receive its own custom sidebar with different widgets. For example, a Google map widget on the "contact us" page, a Flickr widget on the About Us page are just a couple of benefits of having unlimited sidebars. Themes sometime include their own custom widgets that you can place in any sidebar you want. This means you won’t even need to install a plugin. The best themes include multiple page templates for maximum flexibility: with sidebar, full width, contact page, about page, etc. There are tons of WordPress contact form plugins, but a lot of theme authors like to include their own working contact form. 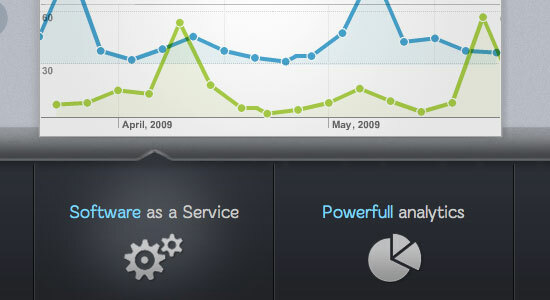 This way, they can control the markup and make sure it looks as good as the rest of the theme. You’ll quickly find that a theme is not much use if it can’t be customized to your needs. No matter how great the theme looks out of the box, there will probably be a lot of things that you needs to tweak. Here are things that indicate a WordPress theme is flexible. Is it easy to upload your own logo instead of the default one? If you have to manually edit one of the theme’s CSS files, your edits will get overwritten every time you update the theme. Instead, look for themes that provide a theme option that stores your custom CSS code inside the database. If you ever want to change some of the theme’s graphics, it can be a real pain to find the right Photoshop file, extract an element, modify it, and export it. It’s much easier when the author provides you with a pre-sliced Photoshop file, or even better, separate files containing only the elements. This is probably one of the most overlooked aspects when selecting a theme. After all, when buying software, you typically don’t read the documentation first, you just assume it will exist and provide all the required answers. Sadly, this is not always the case for themes. The ideal documentation should include a description of all theme options, as well as walkthroughs of the most common tasks (installing the theme, adding an item to the homepage slider, etc.). 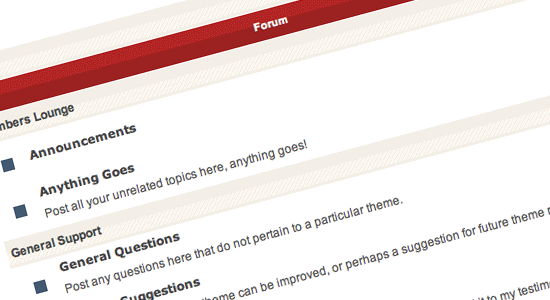 The best themes even include screencasts. You can convey as much information in a 5-minute screencast versus a 3-page article, so they’re a really good way for the user to quickly get up to speed. Even the best theme authors can’t anticipate every possible bug, and even the best documentation can’t answer every question. Responsive and helpful support is a must and will make your life much easier. Of course, if you’re a buyer of premium WordPress themes, you shouldn’t abuse customer support either and understand that although authors are usually ready to help, it’s not their job to teach you basic CSS or WordPress skills, or help you customize the theme to your liking. The best way to get support is probably forums. Contrary to email, you can see if someone else already asked the same question, and you can also see how fast the author usually answers user questions. And a big advantage over emails is that you can have sub-forums, so bug reports don’t get lost among feature requests and other inquiries. I hesitate to include this as a criterion for selecting WordPress premium themes because it’s so obvious, but price, of course, plays a big role in every purchase we make. 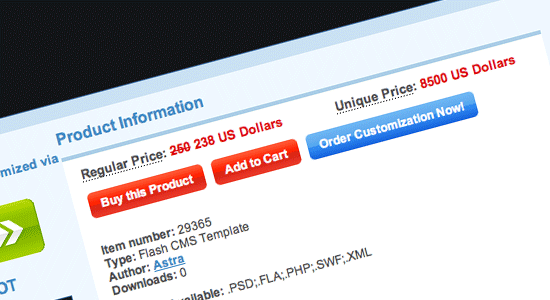 Different sites use different pricing schemes, but you have three common ways to buy a theme. 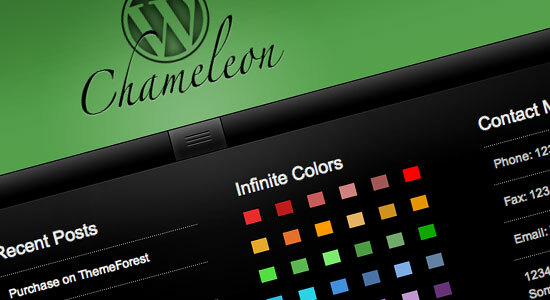 This is the most common and simplest way to buy a theme. Prices range from $10 on the low end all the way to $80 or $100 for the most expensive premium WordPress themes. $25 to $75 is a fair price for a theme these days. You pay a monthly or yearly fee, and you get to download as many themes as you want. This is a great deal for web designers who resell the themes, but if you’re buying a single theme for yourself, the first way is usually cheaper. Some sites (like TemplateMonster) also give you a unique price that lets you buy the theme for your own exclusive use (of course, people who already bought the theme can still use it, so it’s not really exclusive). This is not really worth it in my opinion, because for that price (in the thousands of dollars) you can either get a regular theme customized to your needs, or even maybe get a custom theme built from scratch. The last thing you need to ask yourself after you’ve found a popular great-looking theme with great documentation and support that’s also flexible and has tons of features, is simply, "Is it really what I need?" It’s easy to be so dazzled by a beautiful theme that you forget to even consider what you’re going to use it for. For the same reasons, beware of flashy themes that look really impressive. They might look so impressive that they end up overshadowing your own content. Sometimes simple is better. So there you go, these principles are key to picking a good theme. Of course, part of the fun is also falling in love with that perfect design, so feel free to disregard everything I just said if this ever happens to you.